So, I have to ask: why on earth pork pies? This was completely accidental. 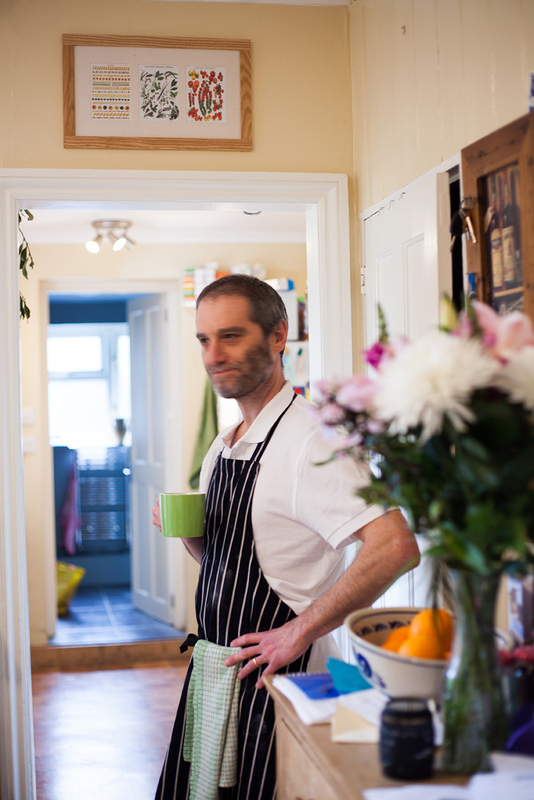 I’d been hankering after being involved in food as a full-time endeavour for many years. Pork pies happened to be the thing at the right time and place. But it could have been cured trout, curry paste, pasta sauce, puff pastry, brioche, croissants or ready-to-cook cookie dough. 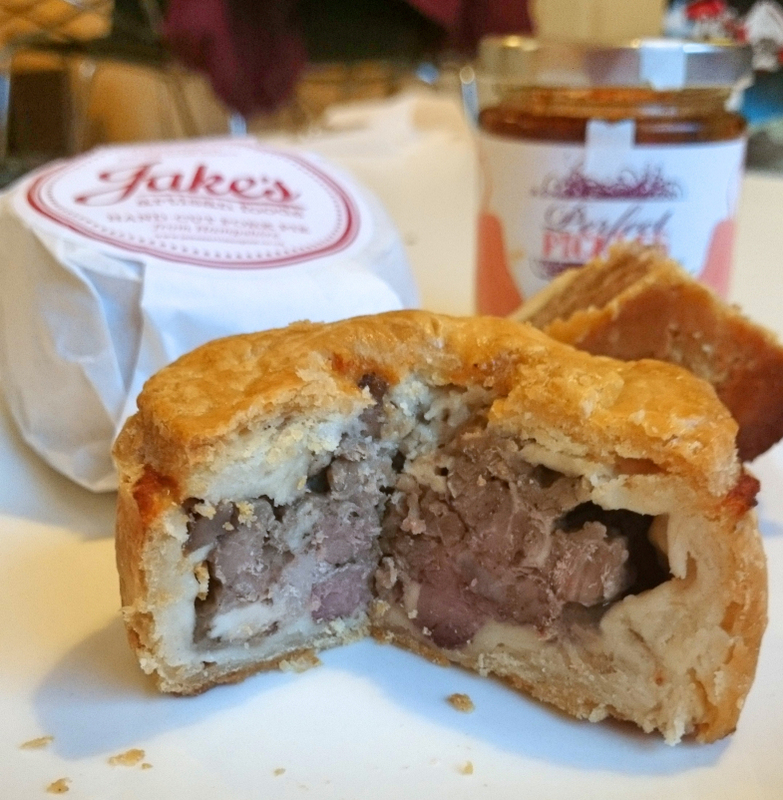 In fact, the pork pies are just the first of a range of Jake’s products, all of which will embody the same focus on taste, flavour, simplicity and honesty. Did it take you ages to find the recipe, or was it a trusty one you already had, just waiting in the wings? The first pies I made were based on a recipe in an old catering textbook I’d picked up, but it evolved over a few years of domestic consumption. From December 2012, after deciding to sell them, the recipe was further refined until it became pretty much what it is today. If you want to make new friends, spend three months taking in tasters to your place of work. I notice that you have a distinctive accent going on – there’s definitely a Canadian twang, but am I right in thinking you are an Englishman by birth? Yes, born in Manchester, grew up in Canada (Ottawa and Toronto mostly), and came to England after Uni with my dual citizenship, expecting to stay a year or two. And like so many before me, I ended up staying. I grew up in Canada with unreconstructed working-class Mancs, so my world view was quite a mixed one. For me, eggs, chips and beans were a totally normally Sunday meal, much to the horror of my school friends, while today pancakes aren’t pancakes unless they’re thick, fluffy and slathered in butter and maple syrup. So what did you do for a living before Jake’s, and why did you gave it up in pursuit of pies? Having always thought that I would have a career with words, in the late 1980s I found myself writing for the IT industry trade press. I’d previously worked on titles covering North American sport and recording technologies, and I ended up editing a few titles and working as an industry analyst. Then, 20 years later, I got bored. I needed a major change in direction and, after some time, I realised it was food that was going to be at the heart of it all. In 2004, still freelancing, I took an NVQ catering course and, ironically, got a job working as a commis chef in a restaurant in Belgravia where I’d had many a business lunch as a paying customer. However, I soon found that while I loved prepping, cooking and learning the business of kitchen craft, I was pretty rubbish during a busy service. But I learned so much in those six months that the lessons are still proving useful. A stint at a Hampshire pub followed by a three-rosette restaurant in Surrey completed my cheffing career, then I went back to full-time work as a communications editor. 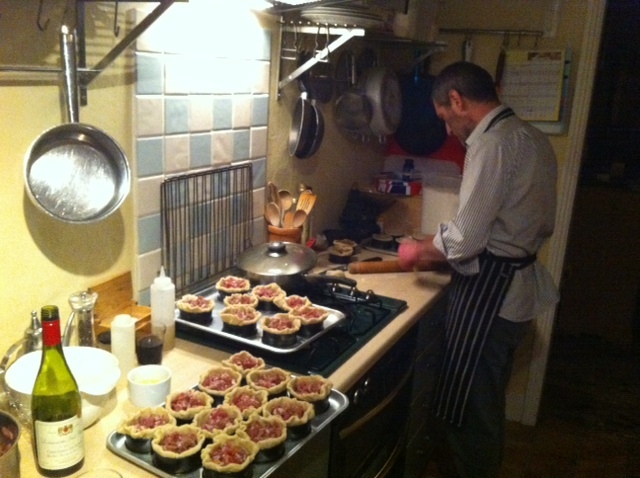 It was during my last role in Chichester that I began plying colleagues with pork pies,perfecting the recipe. I began selling them in April last year and went full-time in late November, so I think that brings us roughly up to speed. Where did your love of cooking begin, and do you still cook in your spare time, now that it’s a business for you? My parents encouraged me and my brother to cook when we were young. I think making my first successful cheese omelette when I was about nine kicked it all off. I haven’t stopped trying new things or perfecting others since (though my brother didn’t get the bug – he still defaults to fast food and ready meals). I still cook most meals for the family, but there’s less time for playing with food. Which I’m trying to rectify by stuffing the fridge and freezer with home-made ready meals. So, where do you get the ingredients for your pork pies from? I get all my pork from nearby Rother Valley Organics, which sources free-range pork from Hampshire-based farms – saving me the hassle of travelling vast distances. Plus, they’re a really good bunch of people. Pork pies are a pretty niche, who are your main customers, and where can we get hold of these bad boys?! I don’t see pork pies as being niche. In my mind, they’re a staple product that should be in everyone’s fridges at any given time, just like sliced ham, cheese, pickles, salami and other charcuterie. They work brilliantly as a classic lunch or snack, but also as part of a tapas plate. And you’ll find them perfectly suited to wine tastings, where they’re increasingly being used. 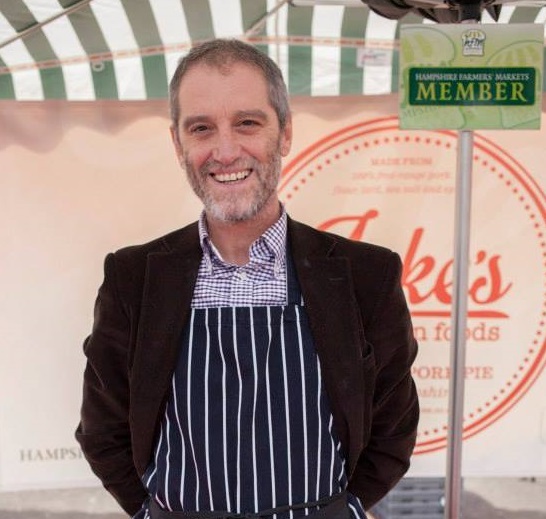 The pies are sold at Hampshire Farmers’ Markets in Winchester, Petersfield and Southsea, as well as at shops, delis, pubs and restaurants. While the markets remain absolutely core to the business, growth is coming from the trade, with more outlets coming on stream over the next months (see the end for the full list). What do your family and friends think of it all? For those who’ve known me the longest, the common feeling is a great sense of relief that I’ve finally stopped talking about doing something with food, and actually done it. For everyone else, there’s just a huge amount of goodwill and support for the project. That’s taken me by surprise, and is one of the nicest aspects of it all. Maybe it’s because it’s set off against my natural cynicism, but it nevertheless restores my faith in people and creates a strong connection with individuals and communities – not something you feel often working in a faceless office. Finally, are there any local food producers who you especially admire? I can’t rate Hampshire Cheeses and its Tunworth highly enough. Here’s a company that, over time, has created one of the most fabulous cheeses you’ll ever taste. While it is developing its new Winslade, it’s still essentially a one-product company focusing on serving an increasingly broad and diverse market. Think Poilâne, Macsween – similarly single-product companies (with a relatively few variants) that have made their mark on the world food scene. I don’t see why Jake’s can’t one day be grouped in the same category. Hampshire Farmers’ Markets in Petersfield, Southsea and Winchester.